Yes, I know that’s not how the original song goes… but I like mine better. It really sums up the magic that happens when a Beastie meets that one special monster they want to spend the rest of their life with. And these two are definitely ready for their big day… let’s find out a bit more about the happy couple, shall we? Let’s meet the groom first – I believe tradition dictates that the bride should always arrive a little late! He’s looking sharp in his wedding suit… a bit of bespoke Beastie-sized tailoring to make him extra handsome for his lovely bride! But should he really bring that pint with him? Of course he should! Groom Beastie makes his own beer, so what better way to celebrate than a toast with his delicious homebrew? Oh look, here comes the bride… WOW! …And check out the back! … And now all that’s left to do is to drink to a long and happy life together! Cheers! Finally, there was just time to get some photos in the garden before they headed off on honeymoon with their human counterparts! 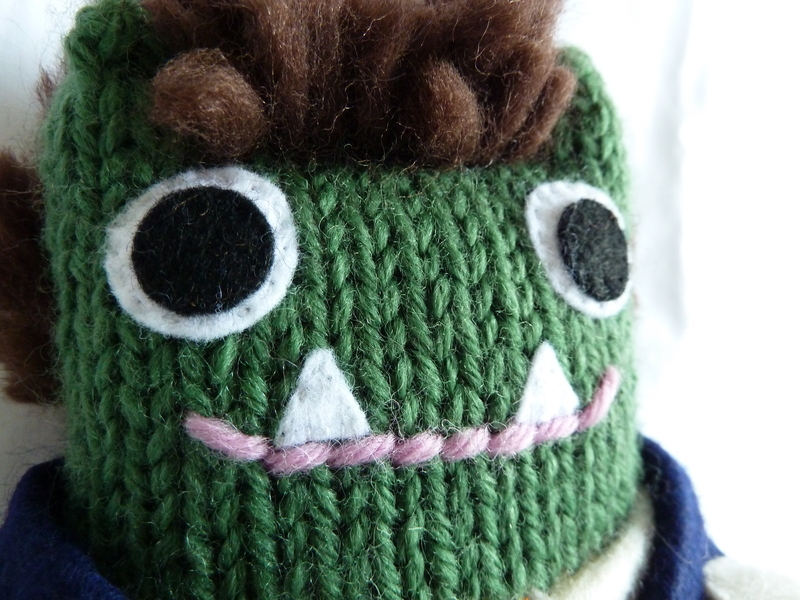 Thanks for being a part of this special monster day! These Beasties were specially commissioned to celebrate Linda and Cormac’s wedding! 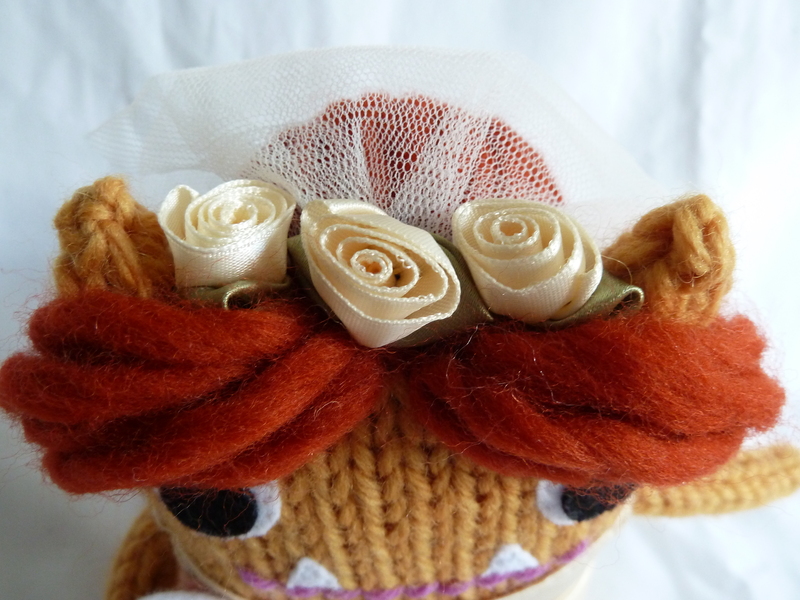 If you would like to invite a pair of personalised little monsters to your own big day, or to someone else’s, drop me a line at crawcraftsbeasties@gmail.com! I wonder if a honeymoon baby is on the cards ?? 😀 😀 😀 😀 😀 A sword in one hand and a rose in the other…. oh,God,there are a lot of things happening in my head right now…. something like all the Middle Age stories melting in one moment…..
Hahaha! It’s all good, just DON’T FORGET WHICH HAND THE SWORD IS IN! I can’t see my comment here. I remember having made one yesterday.